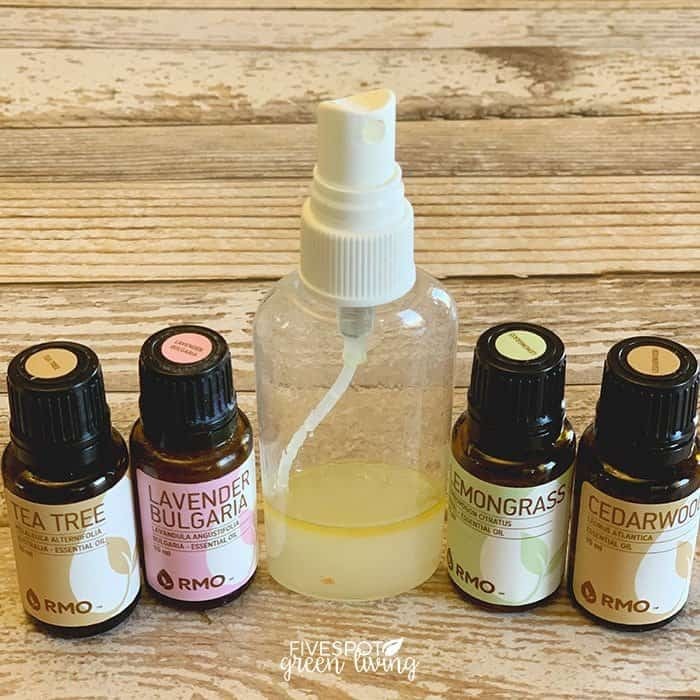 Here is an amazing tea tree oil dog spray recipe that will help keep away the fleas and ticks! I feel like lately I’ve been pulling a tick off of my dog once a day but this recipe definitely keeps them from hopping on for a free ride. I know there is some information out there saying that tea tree oil is toxic for pets – cats and dogs alike. I would never use tea tree oil on my cat but after doing a LOT of research, I can say that I use tea tree oil on my dogs. Basically, as long as you dilute the tea tree oil and use a concentration of LESS than 1.0% tea tree oil, it is safe. That kind of dilution would be 6 drops in 30ml or 1 ounce of carrier oil. So you can use 3-6 drops of tea tree oil for dilution rates of 0.5 and 1.0%. It’s not safe to use tea tree oil on your dog straight out of the bottle. 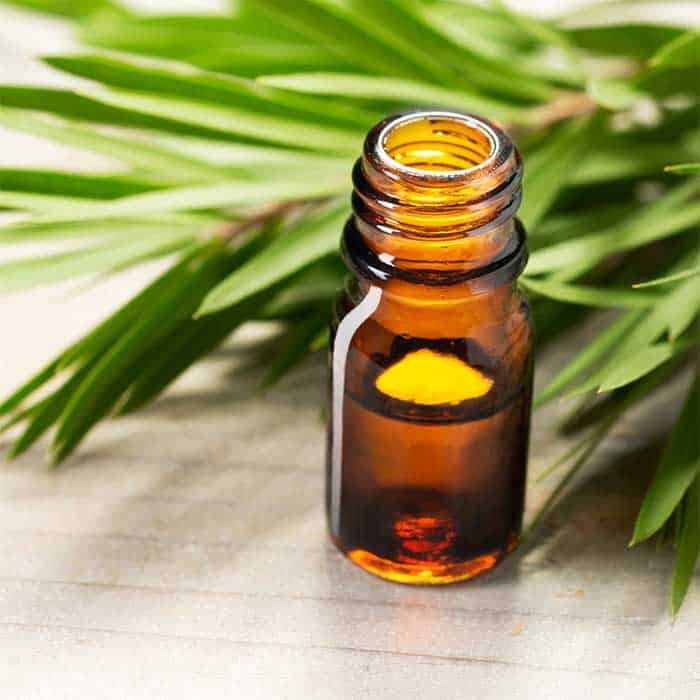 Tea tree oil contains toxins called terpenes which gives the oil its antiseptic, anti-fungal, and anti-bacterial properties. Fleas will steer clear of these types of toxins, making it a good flea-repellant. 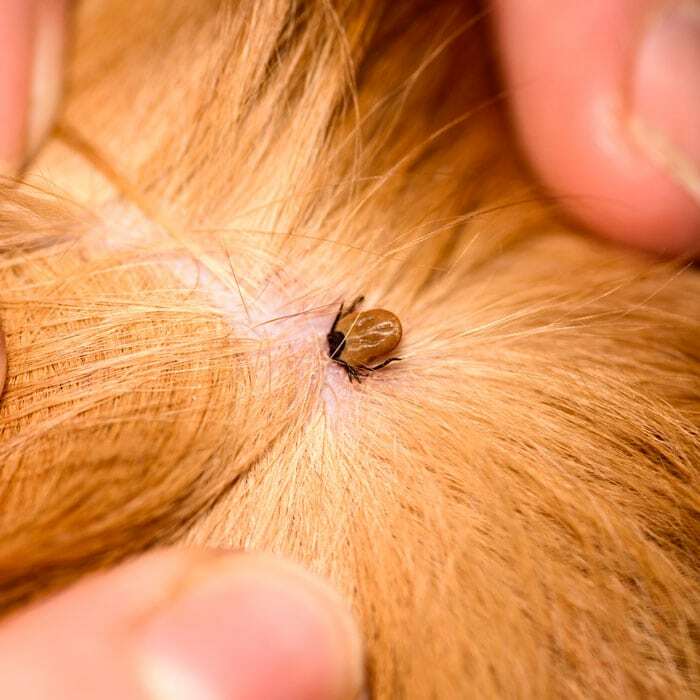 Every type of flea treatment for pets contains chemicals and every type of flea treatment involves some risk. 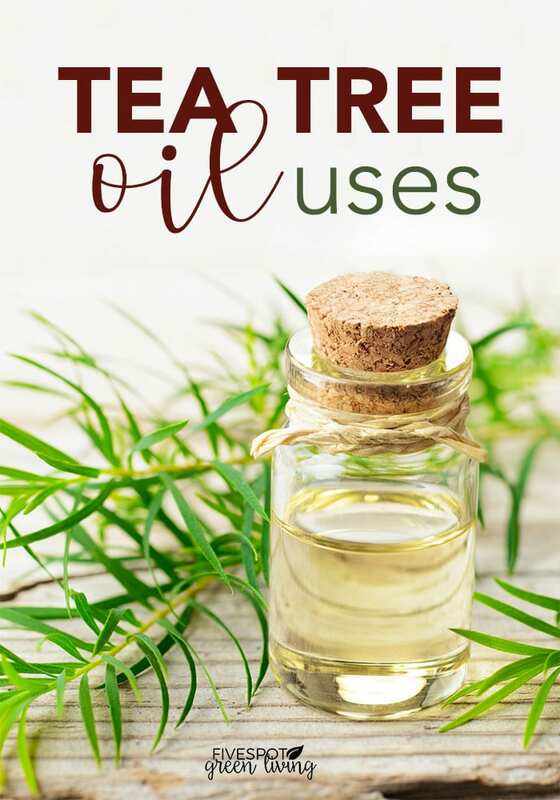 Always dilute Tea Tree oil with a carrier oil like jojoba oil, aloe vera gel, olive oil, etc. 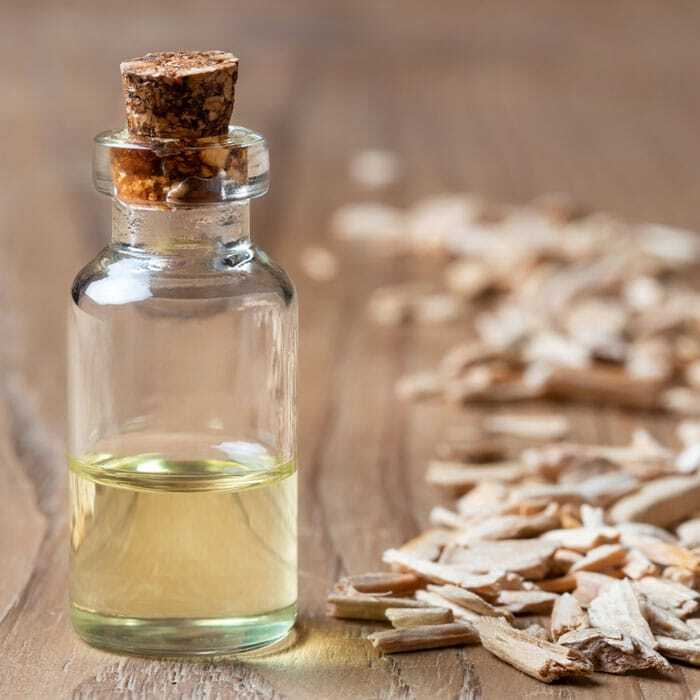 Start with a low dilution of 3 drops of tea tree oil (0.5%) in 30 ml of carrier oil and do a patch test to see if there is any skin irritation. I NEVER spray the oil around my dog’s face. I spray it on her harness and then put it on and spray around her neck. Dogs lick everything especially after something’s been applied to their skin, so as long as the oil is diluted AND it’s not sprayed in very lickable areas or mucus membranes, then your dog will be good. You should still observe your dog carefully to see if s/he shows any allergic or adverse reaction. If so, use a cool wet cloth and some mild soap (e.g. castile soap) to wipe the area, then rinse it with clean water. Why use tea tree oil on my dog? 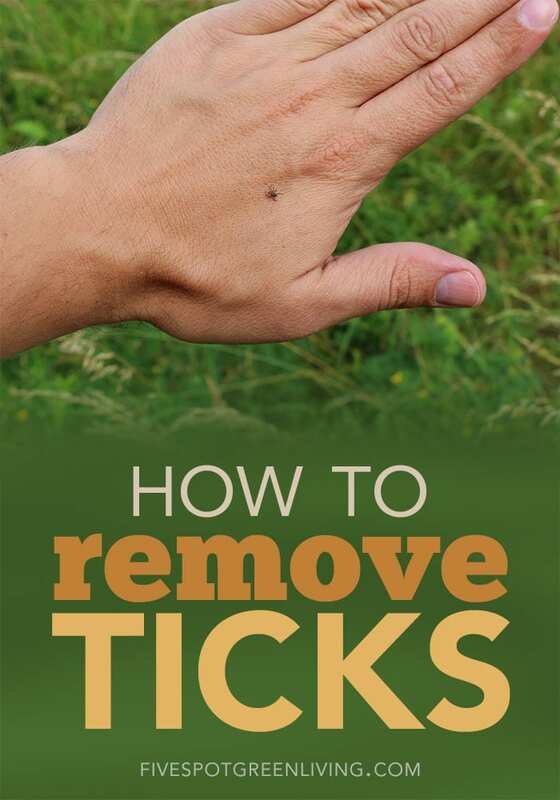 Repels fleas and other external parasites. Helps treatment of sarcoptic mange. 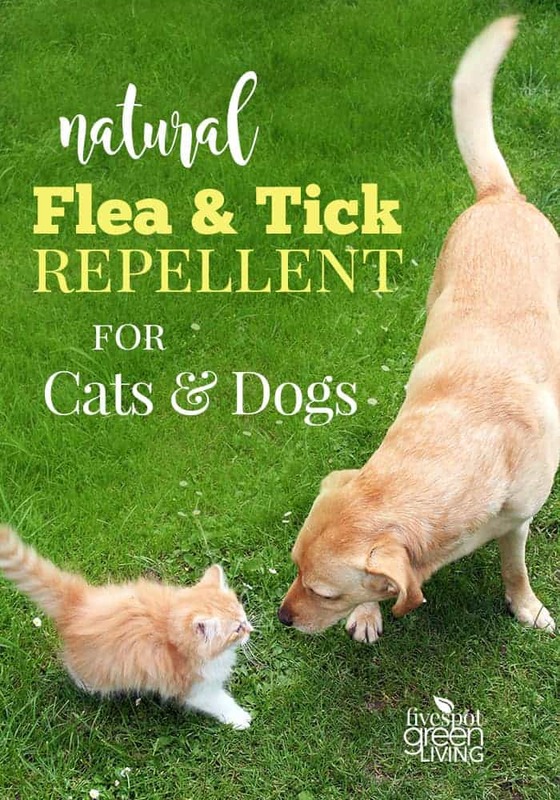 This is one of those not-so-common oils that is really awesome for dogs and humans when it comes to repelling insects. Think of how we use cedar chips and balls in the house to repel moths and bugs! 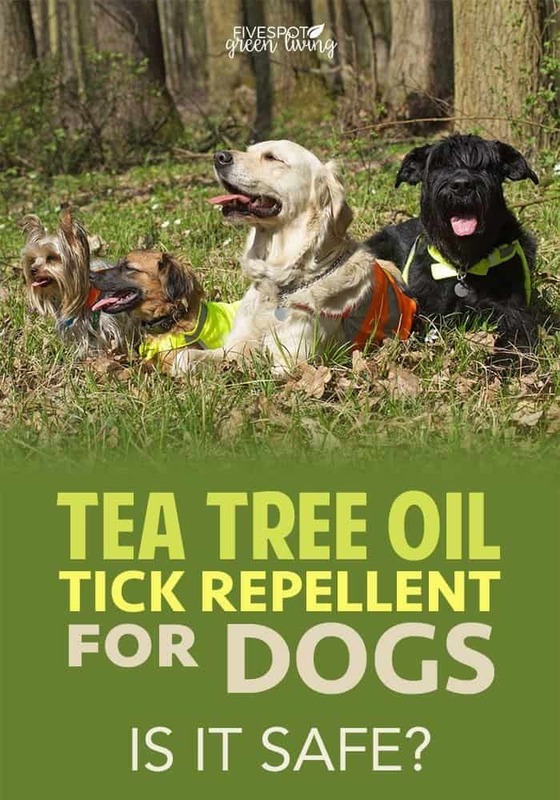 Cedarwood oil is safe for our doggies to repel those awful ticks. It stimulates circulation and is good for resolving stiffness in dogs that commonly occurs with increasing age, as well as arthritis and back pain. 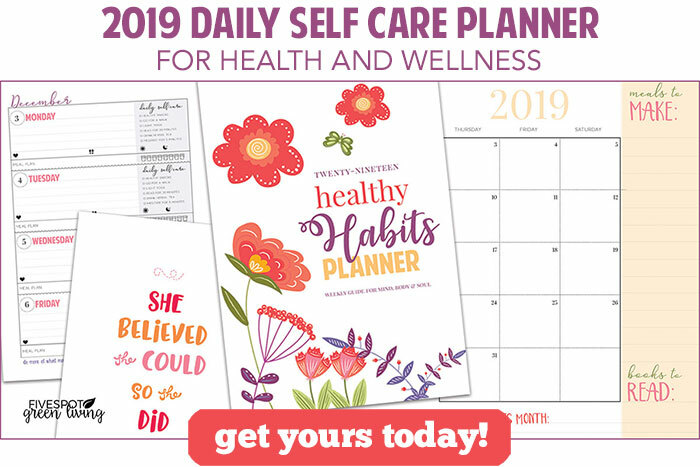 It may also help eliminate dandruff, strengthen kidney function and be used as a general calming tonic, calming, especially for nervous aggression. We are using 2oz or 60ml so the safe ratio of tea tree oil is 6-12 drops which is 0.5-1.0% dilution. Mix in spray bottle and spray on dog’s harness, collar and/or behind ears.